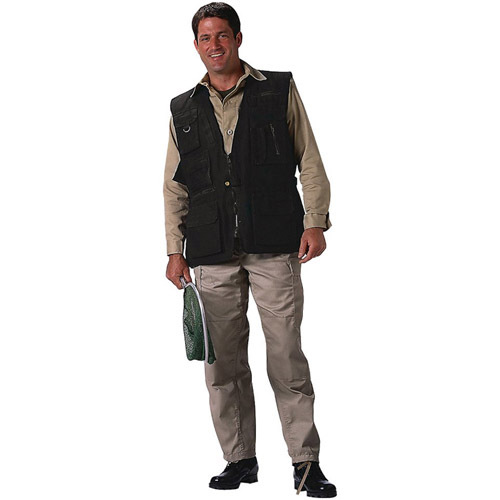 Mens Deluxe Safari Outback Vest is made up of stone washed cotton. 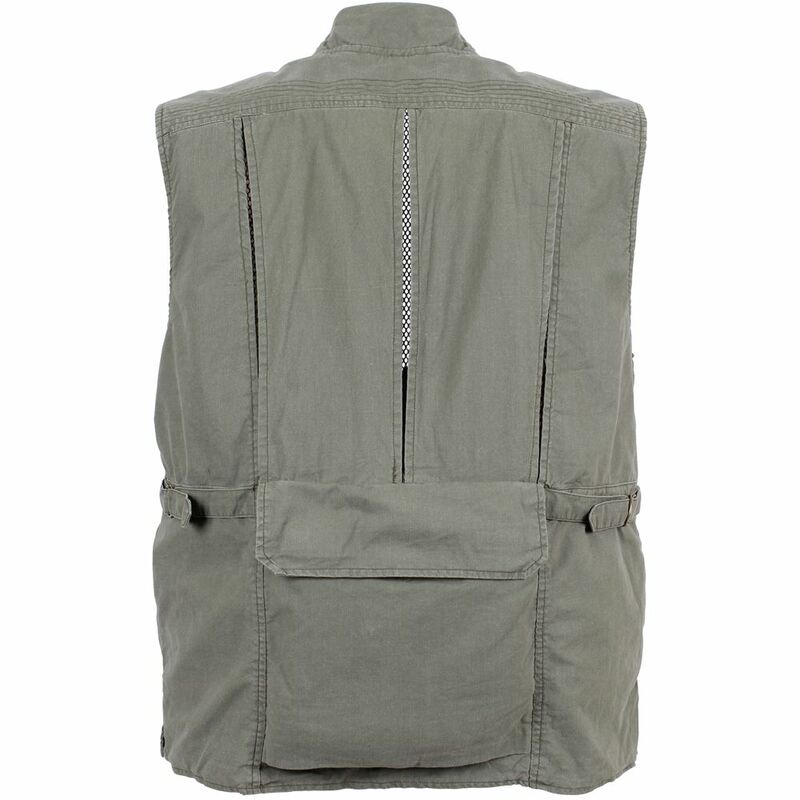 It has 18 pockets with a vented back and a zip in the front. 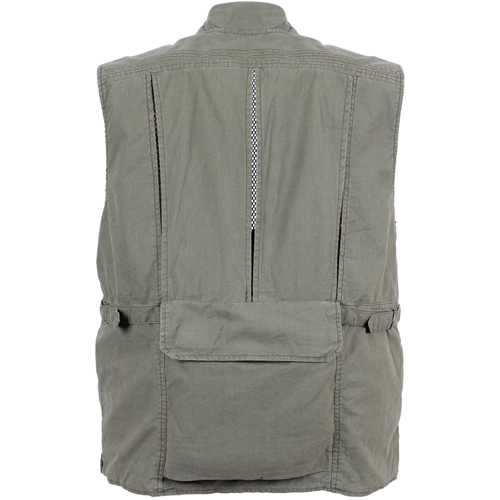 You will also notice a mesh lining inside the pockets and in back pockets. There is also a zip in the front for a snap closure. 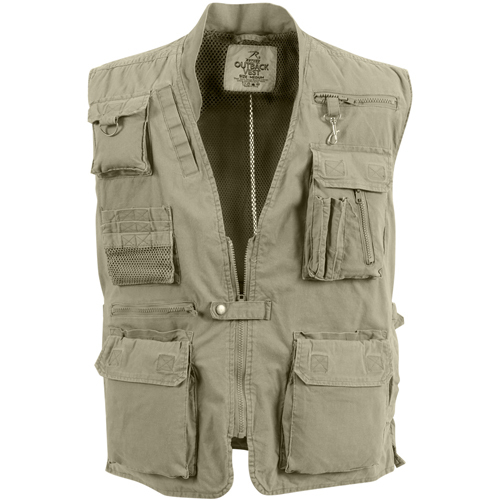 With its straight bottom, it becomes easy to wear. 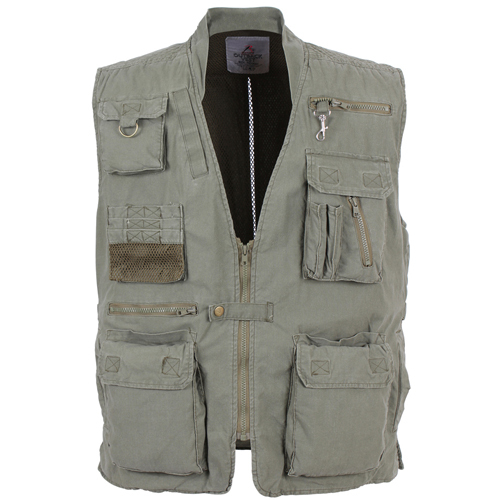 It is available in different colors which makes it good to wear with all the other color clothes. 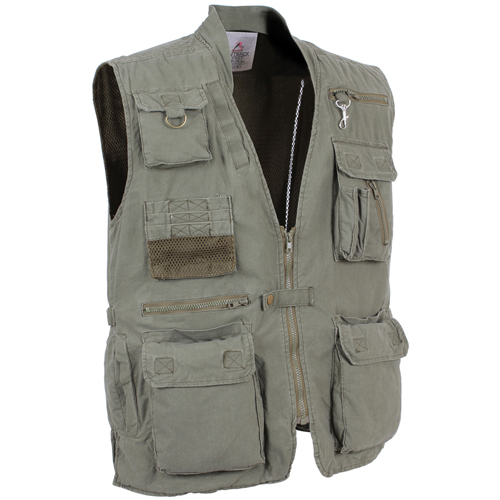 It is a good vest which can be worn when you are about to travel to different places for adventure or lot more.